"Just in time for Valentine's Day! 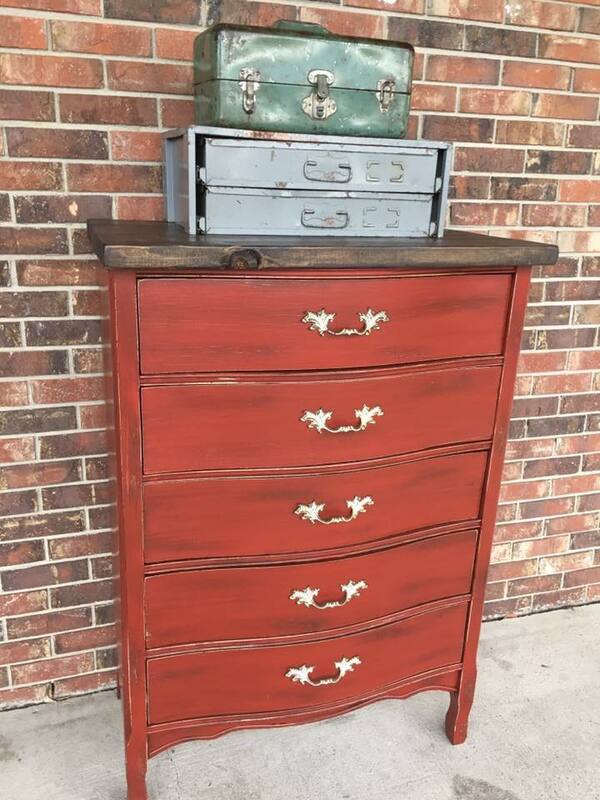 Painted in Brick Red with Van Dyke Brown Glaze on top, this French Provincial chest turned out perfect! A new top was added to replace the original damaged top. I love the rustic look it gives it!"